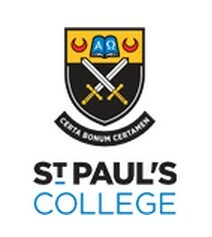 St Paul’s College, Adelaide, South Australia has been providing an affordable, quality Catholic education for boys in Adelaide for over 50 years. As a school in the Edmund Rice Tradition we welcome a wide diversity of boys from five to 18 years of age, encouraging all to educational excellence, supporting their growth in faith and guiding them on the path towards maturity - from boyhood to manhood. At St Paul’s, we seek excellence in every form and support our students to reach their full potential, in whatever direction that might be. There is a passion and commitment from the whole school community that empowers our students and enables interests and dreams to become real career and life paths. Since its founding by the Christian Brothers in 1959, St Paul’s College has provided a quality, inclusive Catholic education for students in the north eastern suburbs of Adelaide. Animated by the vision of Blessed Edmund Rice to liberate the God given potential of young people through education, and building on our proud educational history, St Paul’s has established Strategic Directions for the future. St Pauls College is part of a network of 40 Edmund Rice schools and education providers across Australia and specialises in focussed, high quality education of boys. An authentic Edmund Rice School is one that is characterised by the touchstones of Liberating Education, Gospel Spirituality, Justice and Solidarity and Inclusive Community. St Paul's College aspires to be faithful to these touchstones, which underpin all that we do as a school. 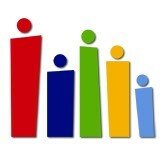 In conjunction with these are the four core values upheld by the College - Faith, Relationships, Excellence and Diversity. Our goal is that students of St Paul's will grow in the quality of their personal relationships, their depth of compassion for others and their determination, no matter what their circumstance, to be the best that they can be.